A few years back, finding an app which can be used for sports betting was hard to find. But today, with the technological progress, evolution of sports betting apps has enabled users to use the more advanced gambling features. This kind of app allows users to bet on their favorite teams, players and events. 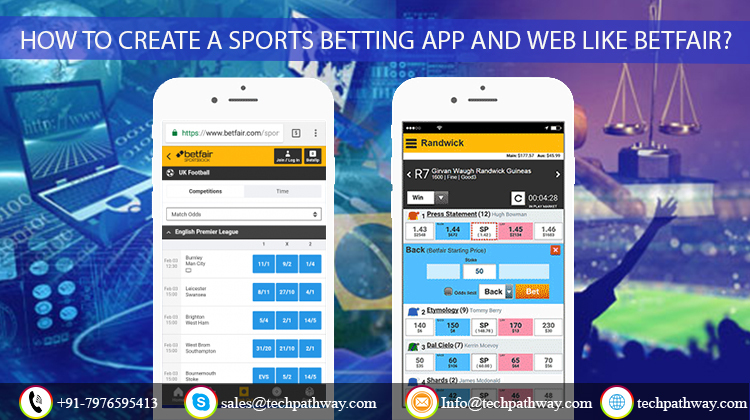 These days, betting business has taken an upswing with this new concept of ‘Sports Betting Mobile App and Web’. This has also reduced the risk attached with the betting. It has also made it easy for users to bet as with a single tap of their smartphones will do the job. No matter where you are and whether you are travelling during any month of popular tournament, you can easily place bets, earn rewards and cash at anytime and from anywhere. User Profile and Bio: this feature of the app allows users to register themselves into the app using username and password or email ID or other social media credentials. Select Sports/Players: this section of the app allows users to choose from the wide range of options for the sports events on which they can place their bets. It may include events, teams and players as well. Live Match: this section of the app allows users to watch the Live Match via the app which in turn would help users to plan their betting strategy well. Betting Guide: if it is your first time in betting, then this might be a useful feature for you. It guides the users on how to place a bet on a specific game, team or a player. Player Information: this feature allows users to have information regarding the players who are playing the sport and the information can be related to a player’s strength and their performances in previous matches. Updates About Match Schedules: this section of the app help users plan their betting activities in advance as it constantly informs them about future calenders and match schedules with exact date and time. Connect with Other Users: this feature allows users to interact with each other and discuss the match predictions. Rank and Position: this section of the app will inform users about their final scores and whether they have won the bet or lost it. Multiple Bets: with the help of a betting app, users can bet on multiple matches. Multi-language Support: this feature of the app allows users to use the app in their native language which uplifts the user experience. Login: this feature allows the admin to register themselves on the app using account credentials. Manage Users: from this section of the app, the admin can manage all the registered users, via a dashboard. The admin has access to all the user details, betting type, betting style and the amount placed by them as a bet. Manage Payments and Prices: admin manages the money received from the users to bet. Also, admin will provide money to the winning users of the bet. The cost of developing an app like Betfair would cost you somewhere around $35,000 to $40,000. However, this is just an estimate because the final cost will depend upon the list of features, type of app and more. You can always entrust the Tech Pathway team for the best app development.